We have gathered an impressive collection of photographs which is in the process of being painstakingly dated and indexed. 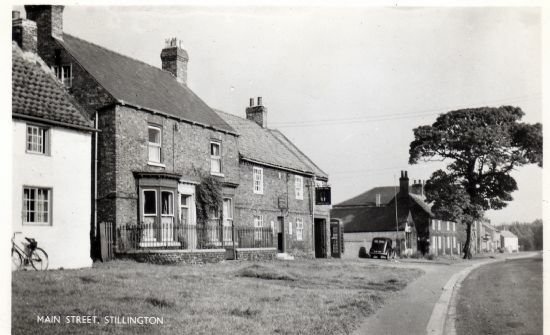 Some large groups of pictures and photographs merit a page all to themselves, like the extremely popular gallery portraying Stillington Hall from the late 19th century to its eventual demolition in early 1967. This page, which can now be accessed from a subpage connected to this one, is joined by similar groupings. More pages will be added as the cataloguing continues. 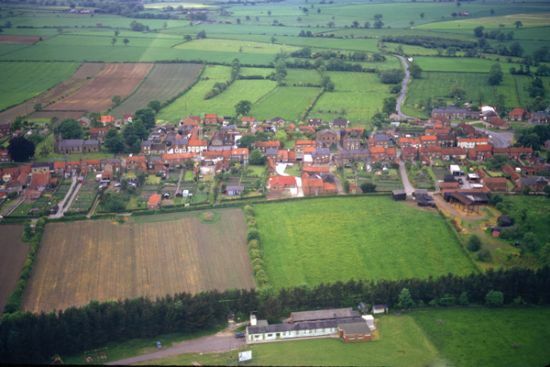 If you have any photographs or postcards of Stillington or Marton and are willing to have them copied to be included on this website -please contact Dave Green via the contact page. c1905. The name of the licensee, Thomas Leaper, can be seen on the sign. The pub was owned by Hottam & Co.
c1938. 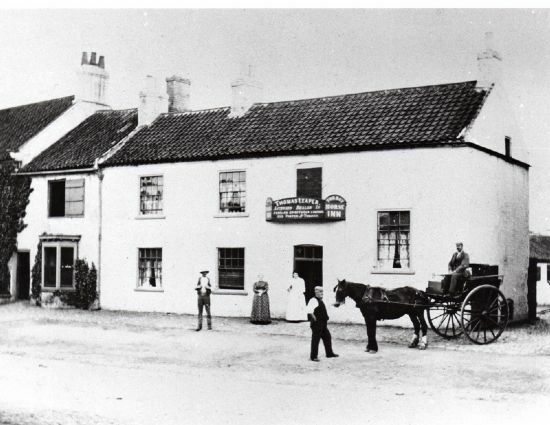 The right hand side of the building (painted white) was the public house while the left had been a butcher's shop, but by this date it had been moved into one of the buildings at the rear. 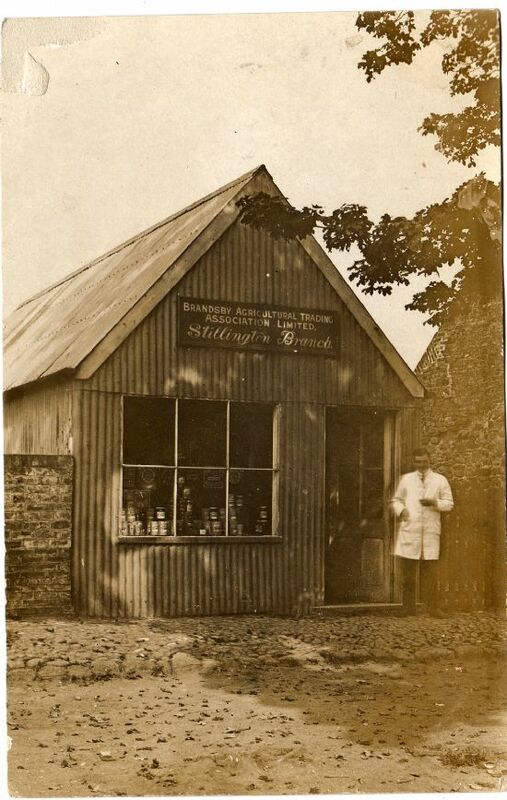 The two ladies standing in the doorway are Mrs Mary Sparrow and her sister Miss Amy Ainsley. Looking East. 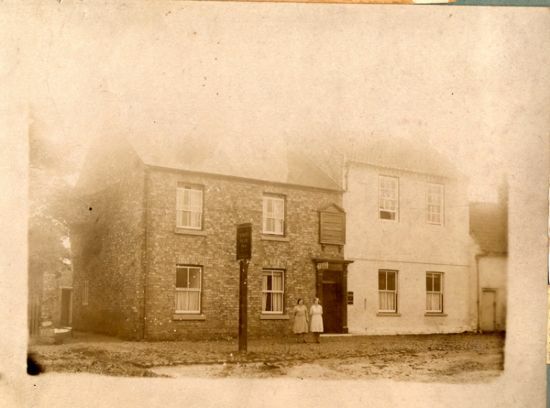 In the foreground Manor Farm, The White Dog Public House, Front wall of the Primary School and the sycamore tree standing in front of Hutchinson's shop. The White house seen partially in the picture was demolished and replaced with a bungalow. 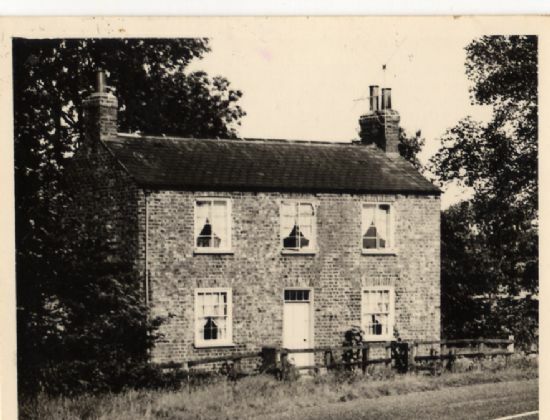 Located on Marton Bridge, once a public house.